Pastor Meg Hegemann and congregation members welcome new member John Flaim to Wilkes Boulevard First United Methodist Church in Columbia. Construction supplies fill the sanctuary of Wilkes Boulevard United Methodist Church in Columbia, Mo., Sunday, March 3, 2013. 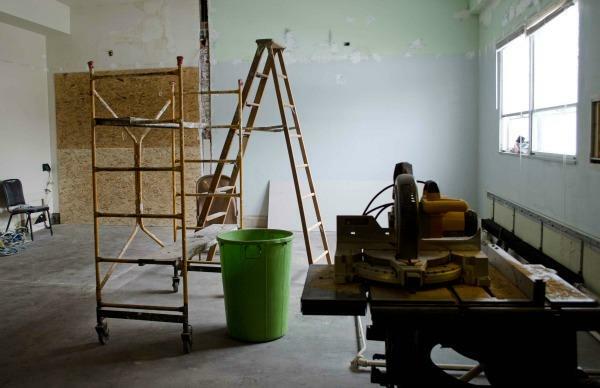 The church is renovating its sanctuary as part of the Healthy Church Initiative. Wilkes Boulevard First United Methodist Church sits at the corner of Wilkes Boulevard and North Seventh Street in Columbia. 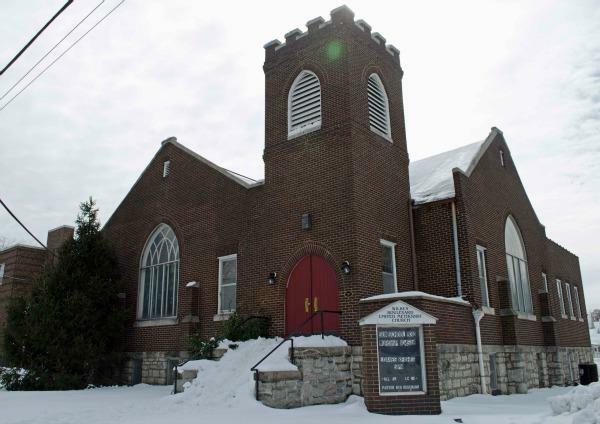 The church is currently going through a United Methodist program to try to gain members. This story was produced in partnership with Columbia Faith & Values. Find more stories like this one at ColumbiaFAVS.com. On a Sunday morning at Wilkes Boulevard United Methodist Church in Columbia, about 30 people sing to welcome two new members to their congregation. John Flaim is one of the newcomers. He came to Wilkes about five months ago. “I found them to be non-judgmental, tolerant, with a capitol T – actually all caps – giving, sharing; they’re basically, there’s no bottom to their well,” he said. For Wilkes, welcoming new members is not something that happens often - the church has been losing members since it hit its peak in the 1960's. And Missouri Methodist churches have lost half their members in the past 50 years. 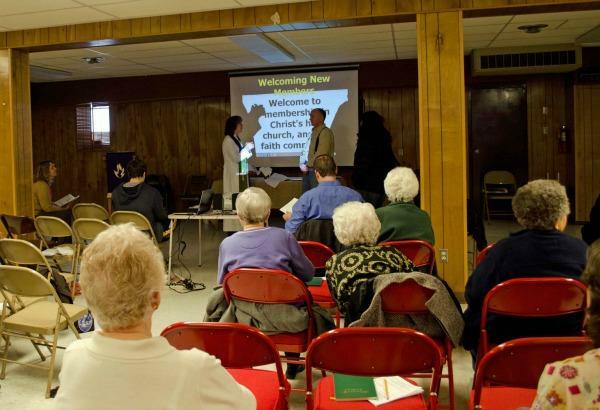 To fix the problem of declining membership, Wilkes is participating in a Methodist program called the Healthy Church Initiative. The initiative is based here in Columbia. It sends consultants to a church, identifies problems and then provides suggestions for the church to reverse the trend. Bob Farr is the brains behind the operation. Farr said churches going through the process often lose members before they gain them. “We have a very nice culture in the United Methodist Church, and most mainline churches where we would rather not offend anybody in order to reach a new person we don’t know, and so we don’t, and then we don’t reach anybody new,” he said. Some Healthy Church Initiative suggestions are simple, like saying "hi" to strangers on Sunday. Others are more dramatic, like getting a new pastor or renovating the sanctuary. Wilkes started the process in October and lost about half its members because of resistance to change. Since then, Wilkes has become more involved in the community. The church now hosts the soup kitchen Loaves and Fishes, along with providing a place for the homeless to sleep during winter with Room at the Inn. Since Farr started leading the Healthy Church Initiative six years ago, more than 300 churches in 29 states have taken part, and many have doubled their attendance – and not all of them are Methodist. Churches that have gone through the process in Missouri will be meeting this August to reevaluate the program and decide how to continue to improve.